Brownsville is our home town. We have our law firm offices in Brownsville, and many of our staff are born and raised right here in Brownsville and the Rio Grande Valley. When a car accident or trucking accident happens in Brownsville, our first concern is whether anyone is hurt. We’re fortunate in the area to have some excellent hospitals like Valley Regional Center. We’re also justifiably proud of all our First Responders in Brownsville such as the fire department. But after the dust settles and the emergency is over, it’s often time to figure out blame and restitution. Who was responsible for the car wreck or trucking accident? The facts in and of themselves may be in dispute. Hopefully there’s a good police report and eye-witnesses. We also have experts on whom we rely who can evaluate the scene of an accident, the damage to the vehicles, skid marks, etc. The facts are important. Second, there comes the law. Who was to blame and what the law is are somewhat different issues. 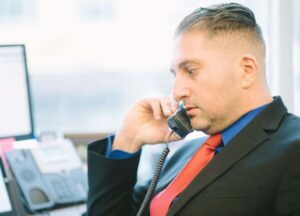 We’ve been a part of lots of litigation in Brownsville and justifiably people turn to us as one of the best law firms in Brownsville for car accidents and trucking accidents. But the law is the law, and we work hard as lawyers to advocate for our clients to the fullest extent of the law. There is quite a bit of prep work to a litigation involving an accident, and we work very hard at that element. Depositions and witness statements may be required, plus we have to work hard to explain to a judge and/or jury what happened (the “facts’) and that the law is (the “law”). Fortunately, we’ve worked on many cases in Brownsville and are very familiar with the Courts and Court Procedure.